Lawrence Joseph Gerrity, son of William Gerrity and Catherine Katie Barrett, was bom in Centralia, Pennsylvania on November 23, 1906. Coming from a family of two sisters and three brothers, one of whom became a priest in the diocese of Harrisburg, Lawrence began his education in the grammar school of Saint Ignatius Parish, Centralia and was enrolled at Augustinian Academy, Grymes Hill, Staten Island, from 1926-1929. He was received into the Augustinian Order on September 10,1929, pronounced simple vows on September 11, 1930 and made solemn profession on September 11, 1933. Lawrence entered the professorium in 1930 and graduated from Villanova College with a Bachelor of Arts degree in 1935. Following theological studies at Augustinian College, Washington, DC, he was ordained to the priesthood at the National Shrine of the Immaculate Conception there on June 7, 1938. Father Gerrity dedicated his entire ministry as a friar to serving our parishes in New York State. 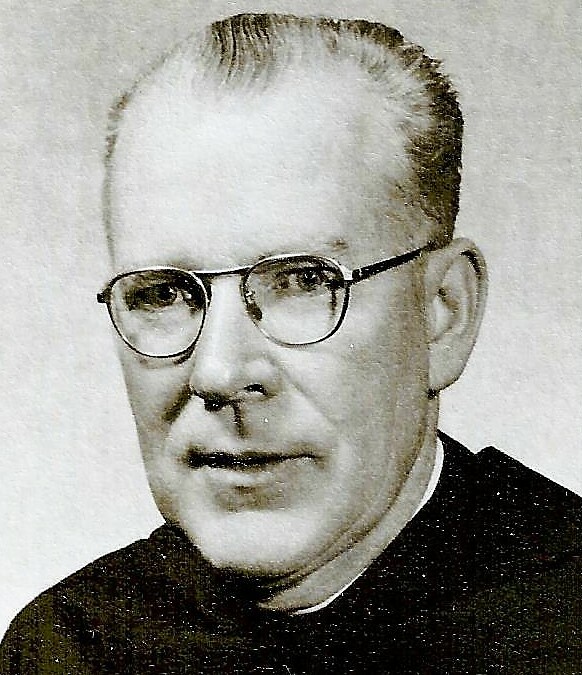 In 1939 he was assigned to Saint Paul Parish, Mechanicville; in 1945 he was transferred to Saint Nicholas of Tolentine Parish, Jamaica, where he remained until 1951. That year he was appointed to Saint James Parish, Carthage, and in 1957 to Immaculate Conception Parish, Hoosick Falls. In 1965, he was named prior and pastor of Saint John the Baptist Parish, Schaghticoke, where he remained for the next ten years. Here, in addition to his assiduous attention to all the duties of pastoral care he undertook an extensive renovation and redecoration of the entire parish plant. In his retirement Father Gerrity returned to Hoosick Falls and the parish of the Immaculate Conception. In 1980, due to failing health he was assigned to Saint Thomas Monastery, Villanova. By his persevering efforts Father Gerrity in his lifetime overcame numerous obstacles, while his obvious sincerity endeared him to the parishioners. An historical buff he delighted in assembling data on the early history of Hoosick Falls and the surrounding area. He was good to the people and they responded with an enduring affection. Father Gerrity died on March 27, 1981, and is buried in the Augustinian plot at Calvary Cemetery, West Conshohocken, Pennsylvania. Newer PostFrancis L. Dennis, O.S.A.